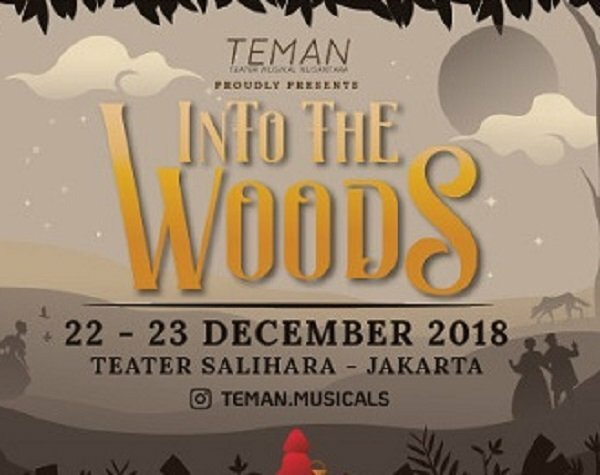 TEMAN presents Into the Woods. Bringing you to the world of one of the seminal works by Stephen Sondheim, reimagined with a touch of Indonesian culture in the Artistic Direction. Into the Woods is a musical that explores the consequences of the characters' wishes and quests. Ultimately the characters are forced to rectify the consequences of their actions. It received Tony Awards for Best Score, Best Book, and Best Actress.